The British Museum’s latest prints and drawings exhibition is designed to show off their incredible new acquisition of the 100 etchings, generously given by Hamish Parker, comprising Pablo Picasso’s Vollard Suite. While some of these works are synonymous with Picasso many of the prints have rarely been seen and certainly very few people have seen the set exhibited like this, in its entirety. 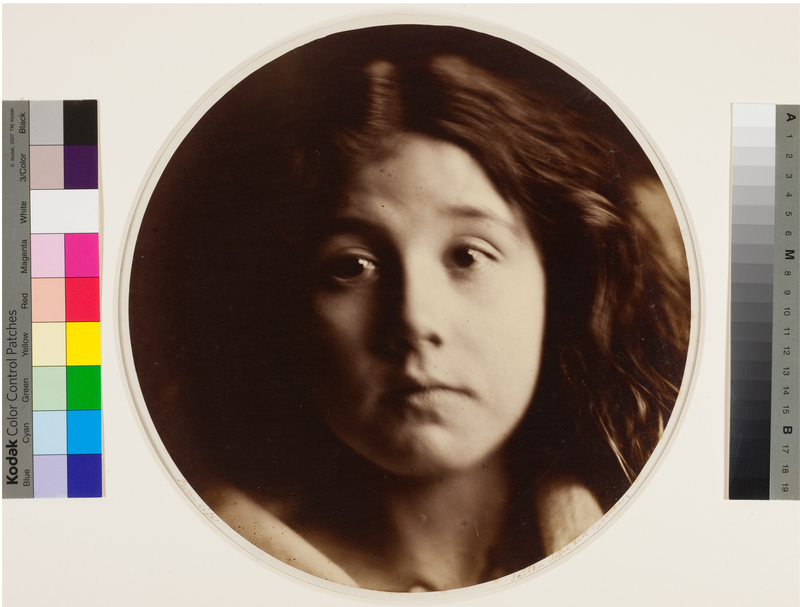 The story behind the acquisition is like a fairy-tale; the BM already owned seven etchings, one of which was put on show at a small viewing for patrons by Coppel, the exhibition’s curator, who said he hoped that one day the BM would own a series. Three months later Parker e-mailed to say he’d help and just three months after that he had £900,000 (the BM had been offered the series for only £1,900 in 1955) in place when a complete set serendipitously came on the market. Picasso’s The Vollard Suite at the British Museum. Own photograph. Commissioned in 1930 by Ambroise Vollard, Picasso executed the majority during a creative flurry in the spring of 1933 although the series took seven years to complete. The wall labels here guide us expertly through the show. The BM has not tried to be flashy; this show is about the works and they are allowed to speak for themselves as we follow them around. On first glance it is easy to mistake this as a dull-looking and uninspiring exhibition but this could not be more wrong. 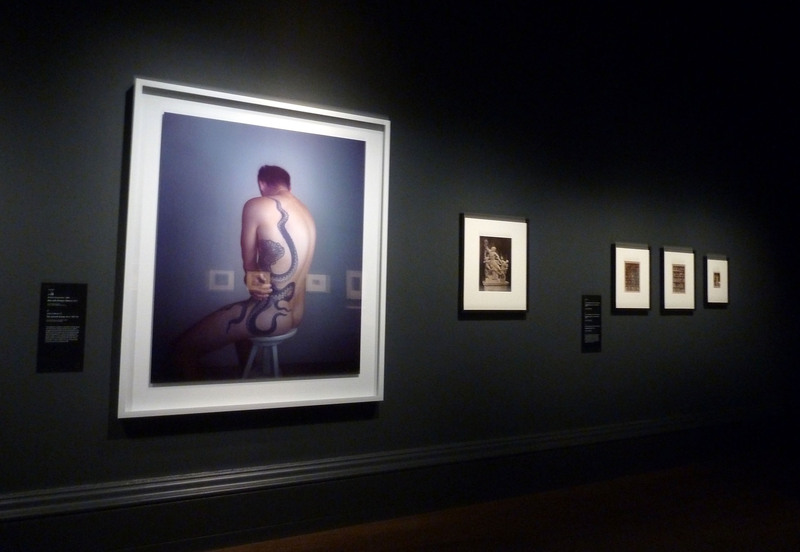 The Vollard Suite is shown alongside examples of the classical sculpture that inspired Picasso as well as Ingres drawings, Rembrandt etching and Goya prints. 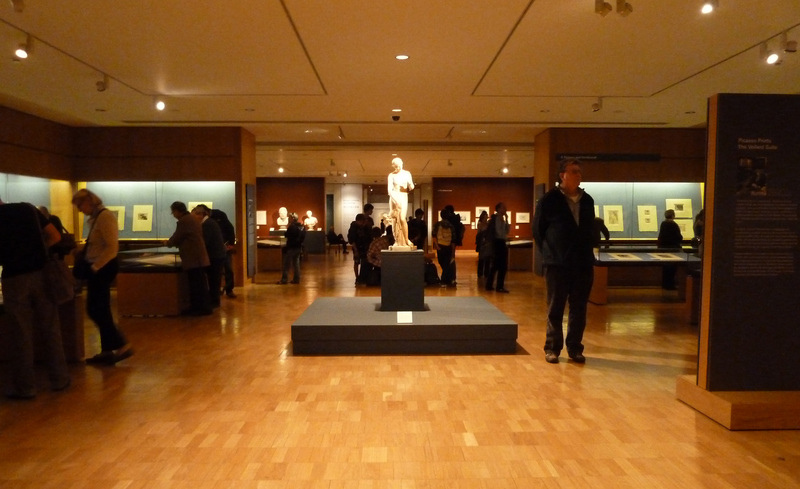 This also allows the BM to highlight their varied and exemplary collections. 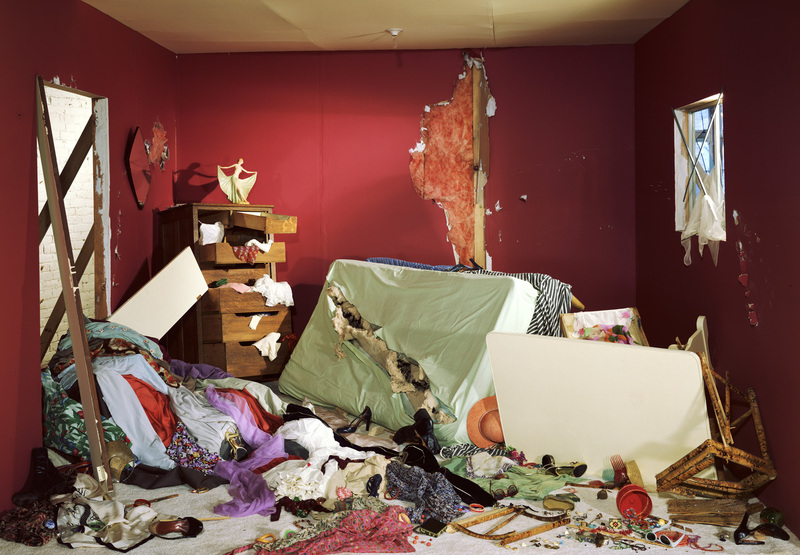 What is important to remember is that the Vollard Suite is a series and should be viewed as such – as a story and a single work which drastically changes our impression of both the work itself and the exhibition. Picasso didn’t title the works as they are not individual and only elements of the whole. Instead they are dated to show us the order and the progression of the creative journey. They can be read as the story of Picasso’s life, a story of his originality and sexuality which we can see through his depictions of Marie-Thérèse Walter, his muse and lover, at first drawn with life, light and beauty but, over time, becoming less playful as Picasso, often shown as a minotaur, becomes more bestial and vicious as problems with his wife Olga become more apparent. Even the way he has scratched at the surface of the etching plate shows the darkening situation. It is not a simple or kind story to follow. The series ends with the minotaur, a blind and impotent creature, led and cared for by a girl resembling Marie-Thérèse – the world had changed and fascism and civil war were rife across Europe. The Vollard Suite is an emotional overload of Picasso’s internal conflicts and desires; at this point we aren’t far away from the anguish he expressed in Guernica. Pablo Picasso, Reclining Sculptor before the Small Torso, 30 March 1933, Paris. Own photograph. 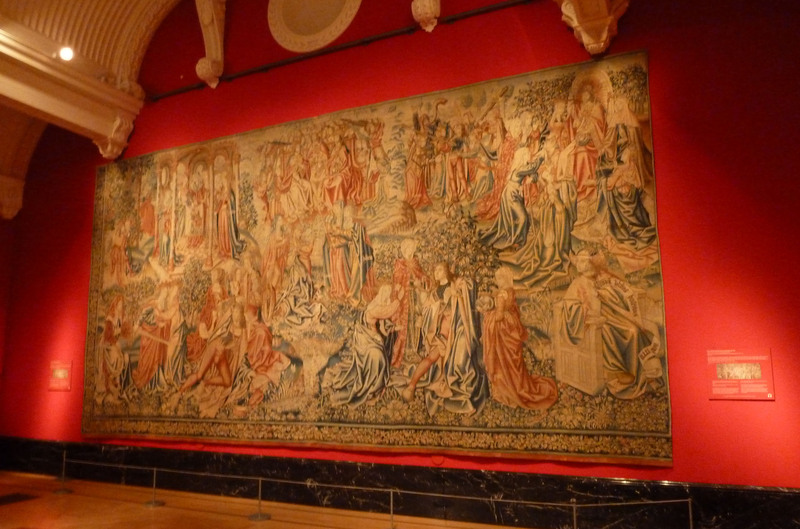 This set of the Vollard Suite is in pristine condition, coming directly from the heirs of dealer Henri Petiet who handled the distribution of the works in the 1950s. 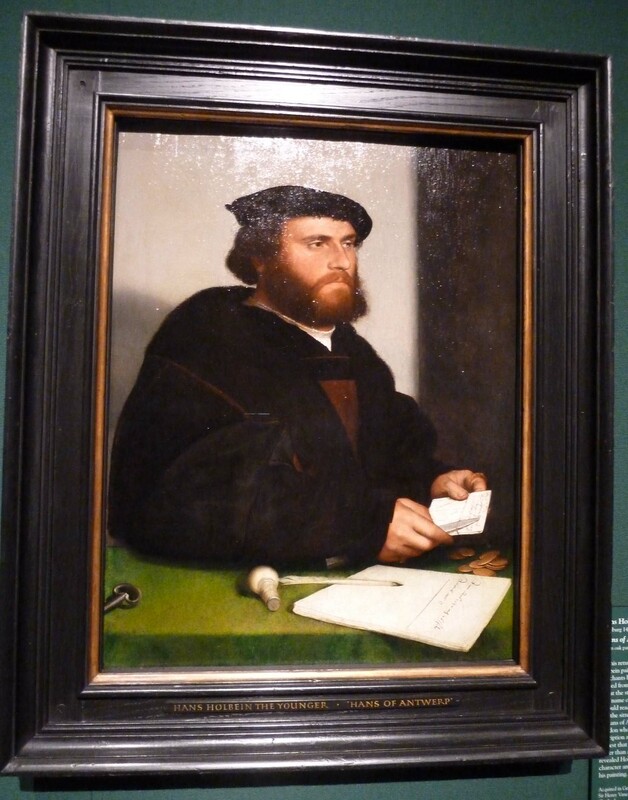 I was shocked that visitors were being allowed to use flash photography in the gallery – the BM should demand that works on paper are treated with more respect. 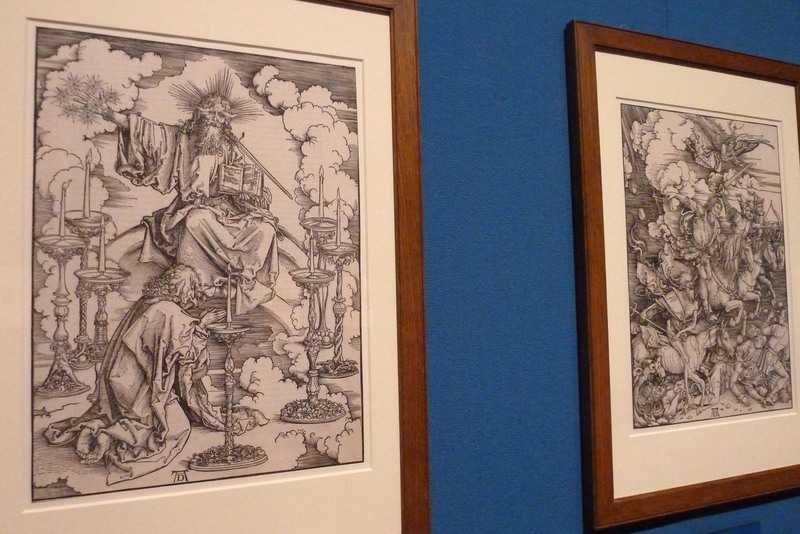 These prints are so forceful that it is impossible not to engage with them. 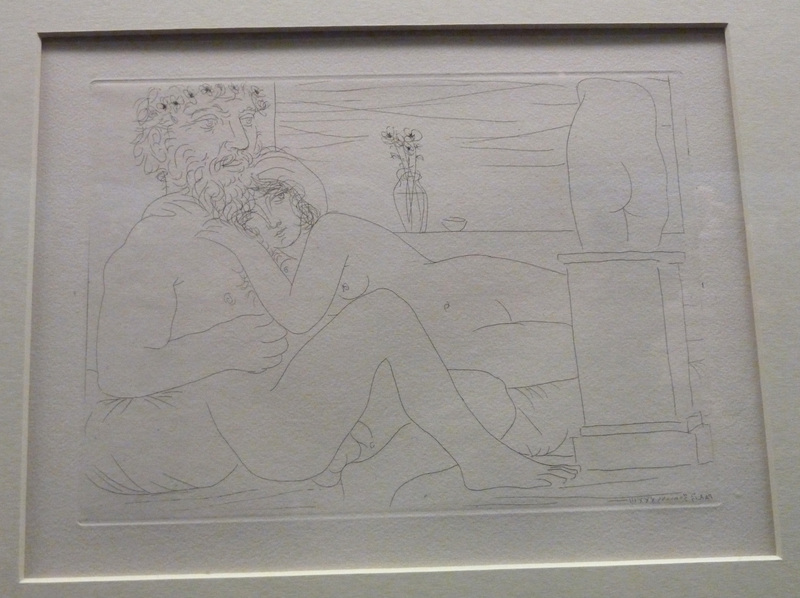 Picasso was a truly great etcher and pushes the artform to a new level, mastering every aspect of the medium. 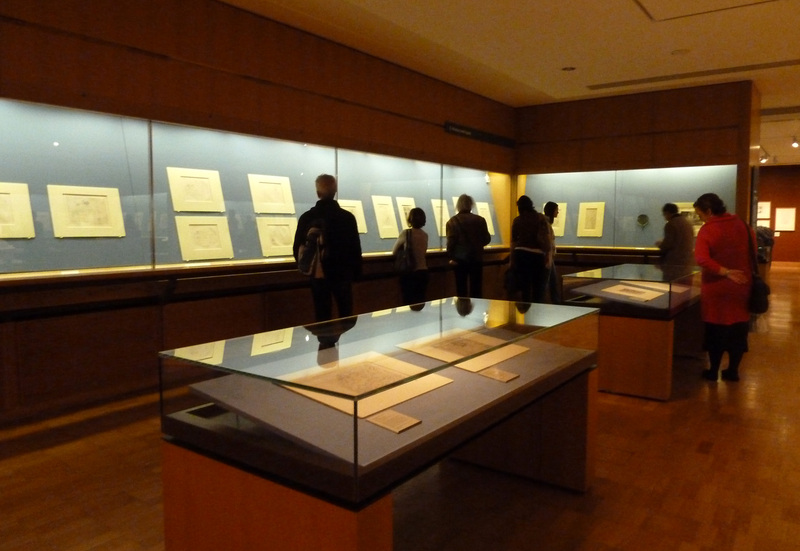 Aside from the snap-happy people, it was wonderful to see others engaging so actively with works on paper. I decided to stop for lunch in the Court Restaurant which has just been taken over by Benugo. I hadn’t been here in a while but used to love their long leisurely lunches. Sadly this was not one of those lunches and I was left disappointed by poor, luke-warm food and a menu that hints at tapas without going the whole way. 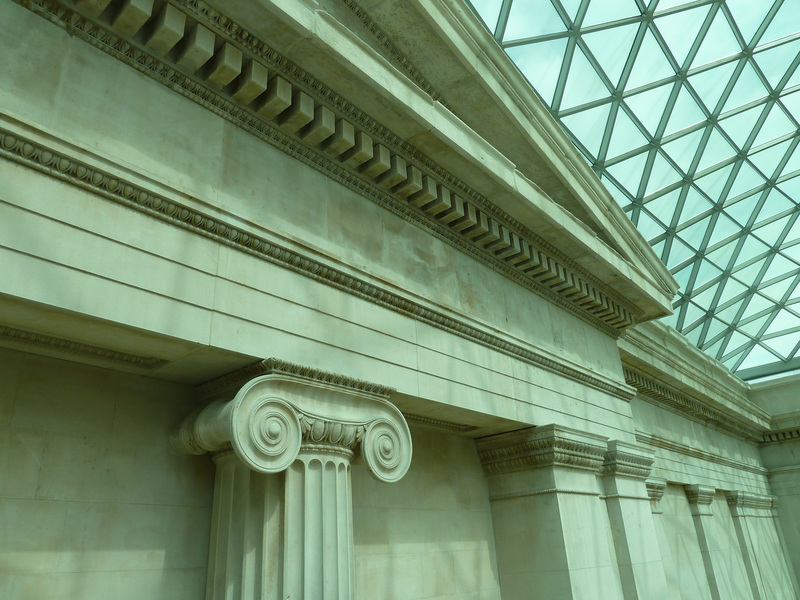 The Great Court at the British Museum. Own photograph. To cheer myself up, I headed over to Buckingham Palace to see some more works on paper (though it’s always a bonus to see the Guards outside as well). You may have thought we’d had our fill of Leonardo da Vinci last year with the National Gallery’s blockbuster exhibition and, indeed, many of his drawings included in that were on loan from the Royal Collection (although they were hard to see in the dark and crowded galleries). 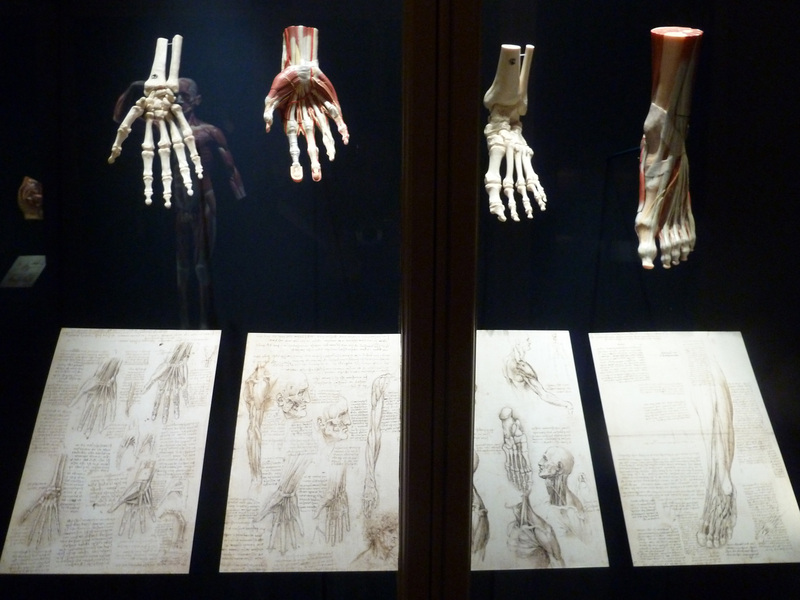 But, here is another show of his works – the largest group of his anatomical drawings ever exhibited (the Royal Collection holds all but one of da Vinci’s surviving drawings – the other is in Weimar). Leonardo da Vinci: Anatomist is a splendid display of 87 pages from his notebooks, 24 sides of which have never been seen before. 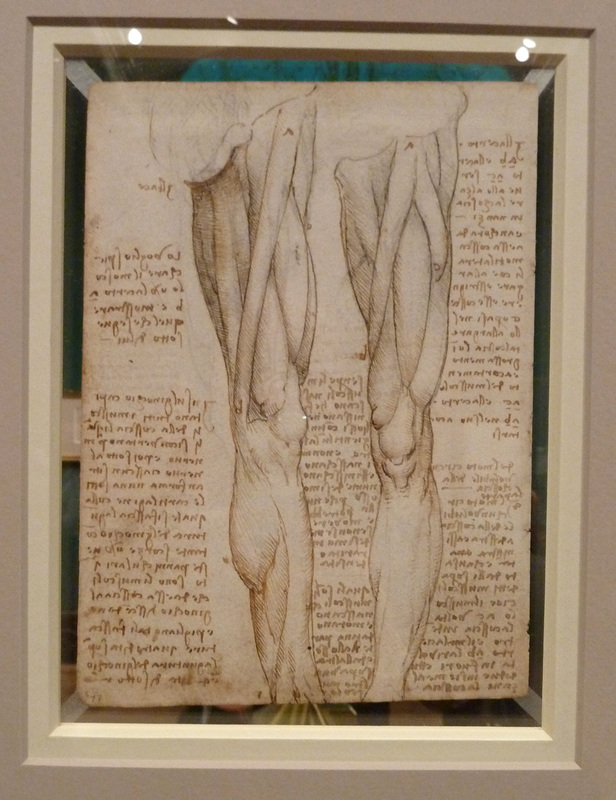 Leonardo da Vinci, The Muscles of the Leg. Own photograph. During the Renaissance, in order to paint the body correctly, the artist had to understand its structure. 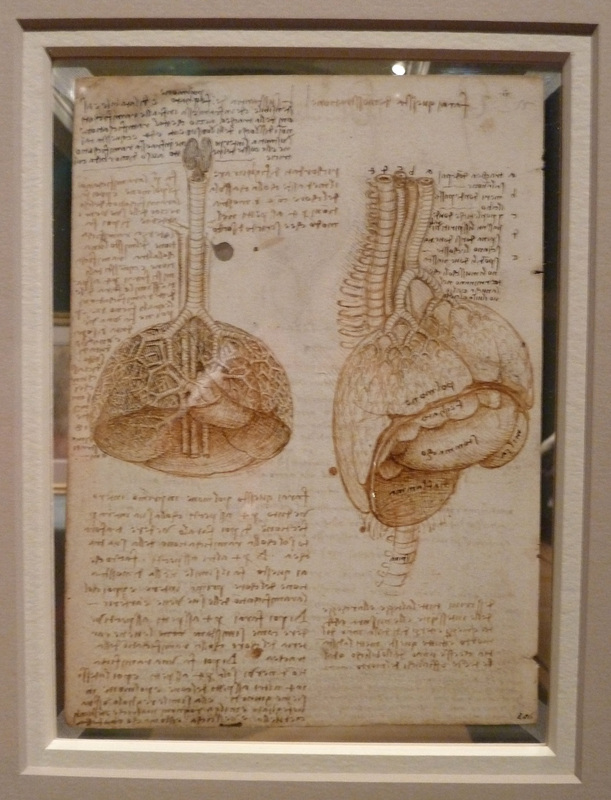 In 1489, Leonardo began working on ideas for a treatise on human anatomy; while some of his notes are clearly intertwined with his artistic needs, his ideas go above and beyond the basic requirements of a painter. Leonardo was not one to do things by halves. During winter 1510-11 he is thought to have worked with Marcantonio della Torre, Professor of Anatomy at the University of Pavia, who gave him access to dissected humans which he illustrated in great detail, drawing most of the major muscle groups and every bone except the skull. Leonardo looks at the body as an architectural form with elevations, plans and sections; he follows an artistic approach with a scientific mind. Leonardo da Vinci, The Lungs. Own photograph. The systems of display of this and the Picasso exhibition could not be more opposite – the Royal Collection’s approach is much jazzier and brighter but both work equally well due to the different styles of works on display. Leonardo’s works are intellectually demanding but are presented in a way where they don’t seem exhausting or overbearing. There is an amazing amount of information provided about the works with enlarged details printed on raised wall sections enabling visitors to analyse the drawings more thoroughly. They have really brought the intricacies alive for the general public. Some of the boards include pictures of the drawings in ultraviolet light offering a clearer look while some show translations of Leonardo’s notes so that they can be appreciated and understood. 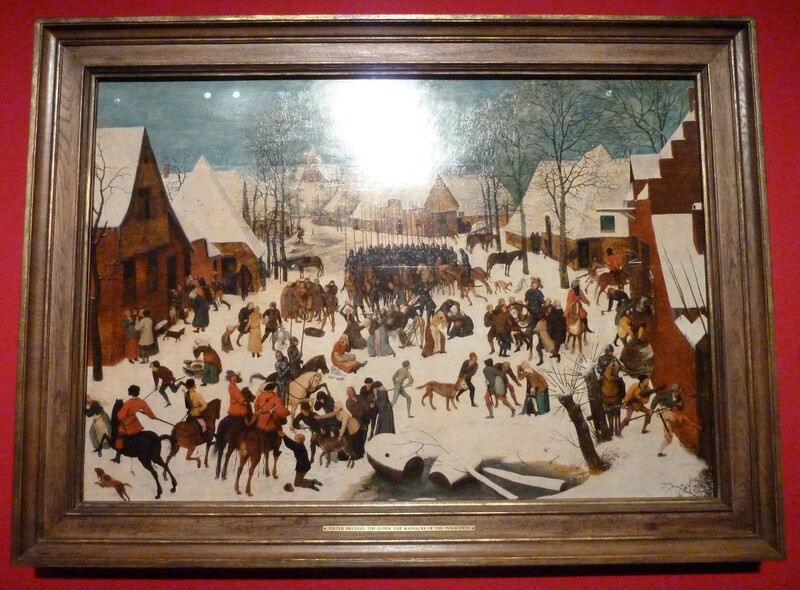 This exhibition has involved a lot of work and it certainly pays off in leaps and bounds. Leonardo da Vinci exhibition at The Queen’s Gallery. Across three main rooms with smaller offshoots, the drawings are displayed with projections, anatomical models and explanations. Where necessary they are displayed in cases so that the recto and verso can be seen; the curators have understood perfectly the space and attention these drawings deserve. The beautifully produced, and very reasonably priced, hardback catalogue is also a revelation with incredibly detailed entries on all the drawings. 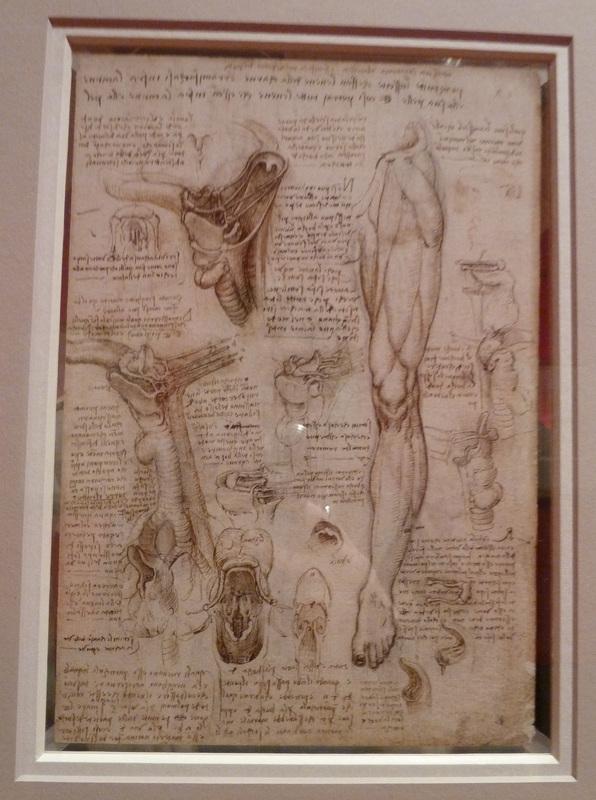 Leonardo’s drawings alongside modern anatomical models. Own photograph. In September 1513, Leonardo left Milan for Rome where he tried to resume his anatomical research but he was accused of unseemly practices. He moved to France in 1516 and never continued these studies; due to their dense and unorganised content they were never really appreciated. If Leonardo’s work had been properly handled there is no doubt it would have been greater than Andreas Vesalius’ De humani corporis fabrica of 1543. Leonardo’s work would have been unquestionably the most important document on anatomy in history. It wasn’t until 1900 that his works were finally published and understood but, having been lost to the world, it was too late to affect change. Their power and insight is still evident. Leonardo da Vinci, The throat, and the muscles of the leg. Own photograph. It is clear that Leonardo was a scientist as well as an artist. His discoveries, if known at the right time, would no doubt have influenced the course of science. 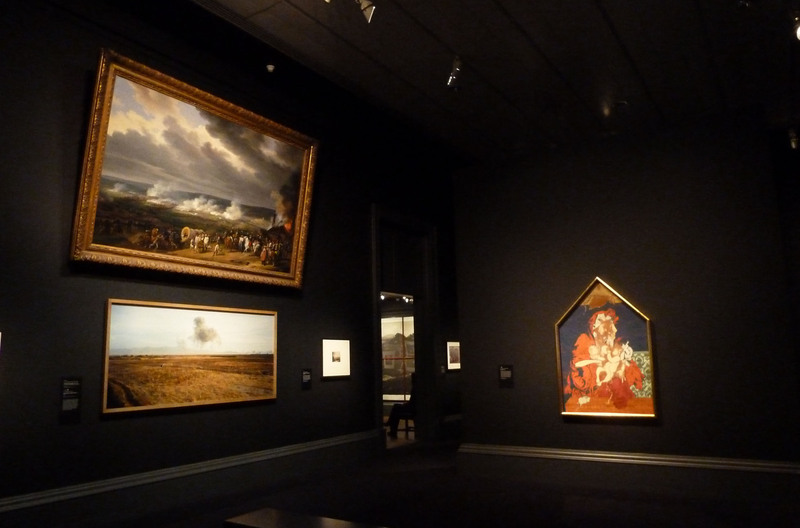 The Royal Collection’s exhibition offers a very different viewpoint to the aforementioned NG show. Leonardo’s highly detailed and sensitive scientific drawings show his artistic skill at its most advanced – these are subtle and spellbinding and I personally find them more engaging than his paintings. This is a really beautiful exhibition of works by a sensational draughtsman that will enrich our knowledge of Leonardo and help us to understand his incredible mind. It’s worth the security queue to get in! 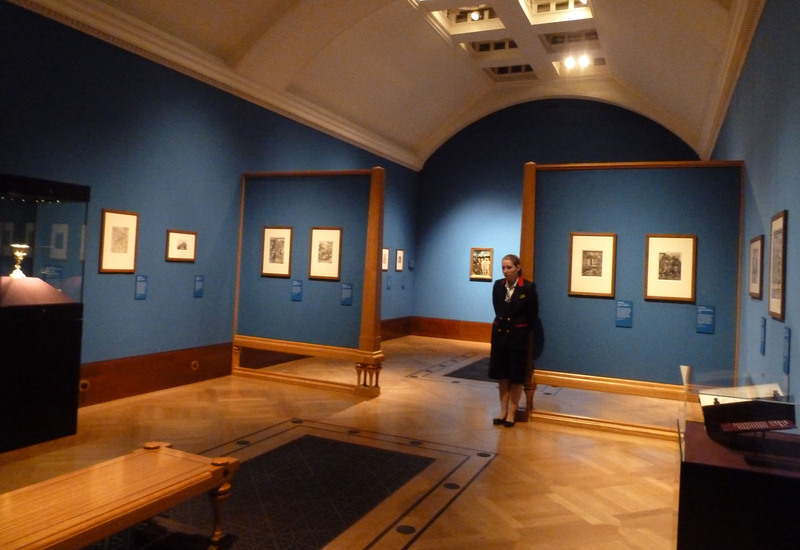 Picasso Prints: The Vollard Suite is at The British Museum until 2nd September 2012, www.britishmuseum.org. 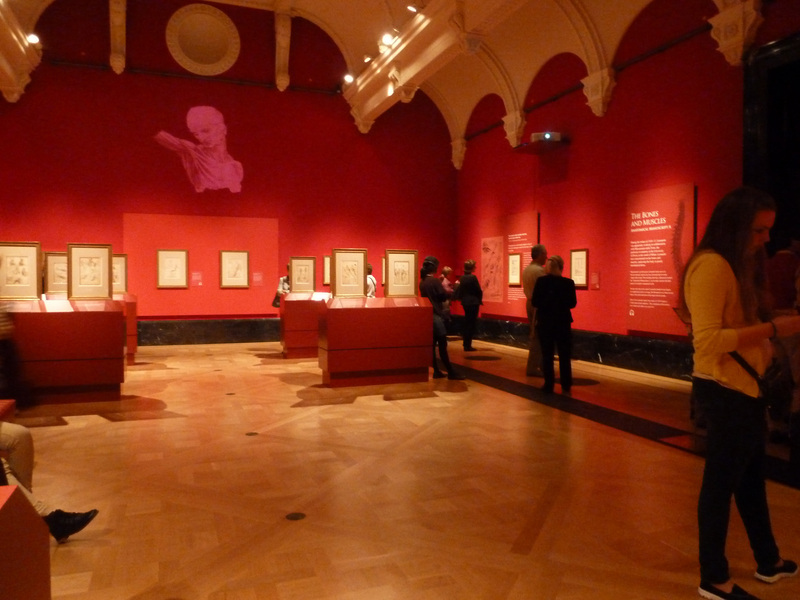 Leonardo da Vinci: Anatomist is at the Queen’s Gallery until 7th October 2012, www.royalcollection.org.uk.